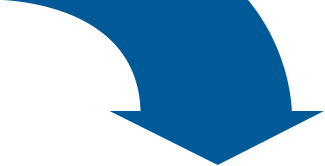 The long experience and skills we have developed over the years allow us to state that we are the ideal partner for all those customers who consider pallets and packaging the key element of their productive process. 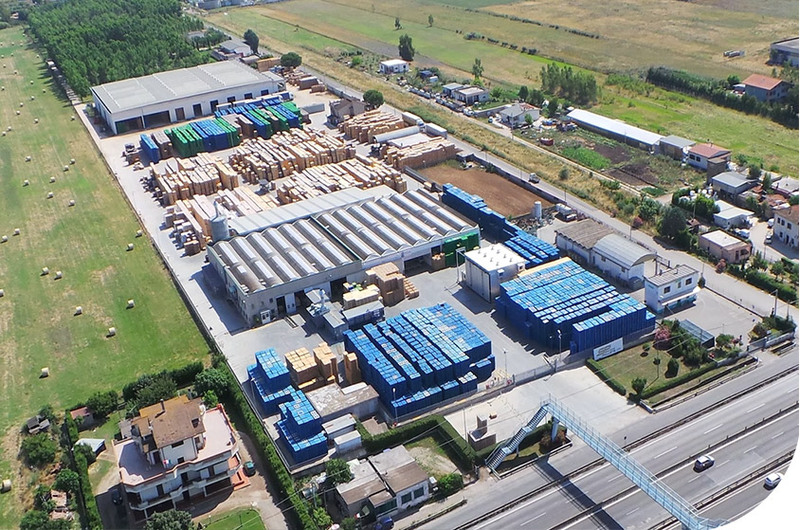 The whole plant cf 100.000 sqm is composed of covered building s and outdoor stocking areas completely infrastructurated and equipped for the production and for the storage of both raw material and finished products, with a direct access on a main road (SR 148 – Via Pontina km. 49,440). Two modern heat treatment kilns for the treatment of products with final double purposes: HT-ISPM15-FAO and/or KD with a total capacity of 15.000 pallets per day. Four productive lines ensure a daily capacity of 18.000 pallets, either standard like EPAL and CP, or non-standard. One external stocking place (SR 148 – Via Pontina Km 45,300). 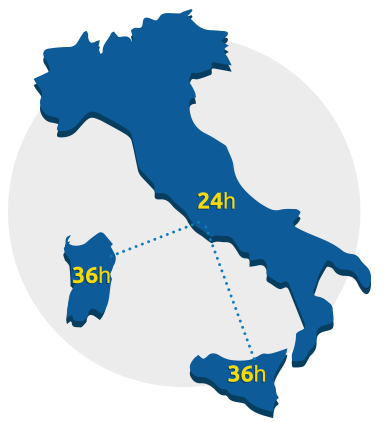 A well-tested network of transporters completes our organization allowing us to make deliveries and collections throughout Italy within 24 hours (36 hours delivery for the islands) by big-volume covered trucks.